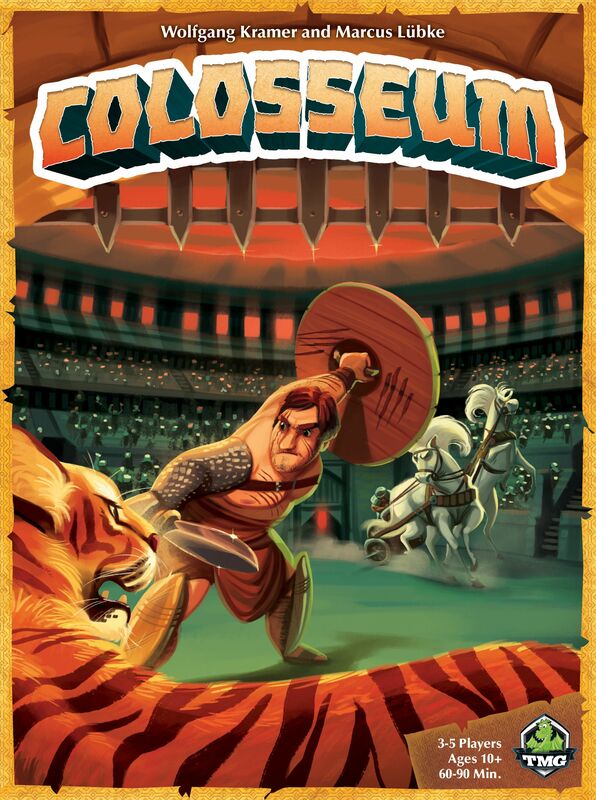 In Colosseum each player is a Roman impresario - producing great spectacles in his or her arena in the hopes of attracting the most spectators. Players earn wealth and glory for each event run, using it to create ever more ambitious events. They will need to improve their arena, find the best performers, lure the Emperor and his nobles, and manage assets for long-term success to be granted the title of Grand Impresario, with tales of your extraordinary spectacles acclaimed throughout the empire. As commanded by the Emperor, the greatest celebration in Roman history has continued unabated for 99 days. All of Rome has borne witness to the grandest spectacles the empire has ever seen— all to commemorate the opening of the Amphitheatrum Flavium, the Colosseum.